Plumbing product manufacturer Gerber has introduced the flexible and easy-to-install Treysta rough-in tub and shower valve. 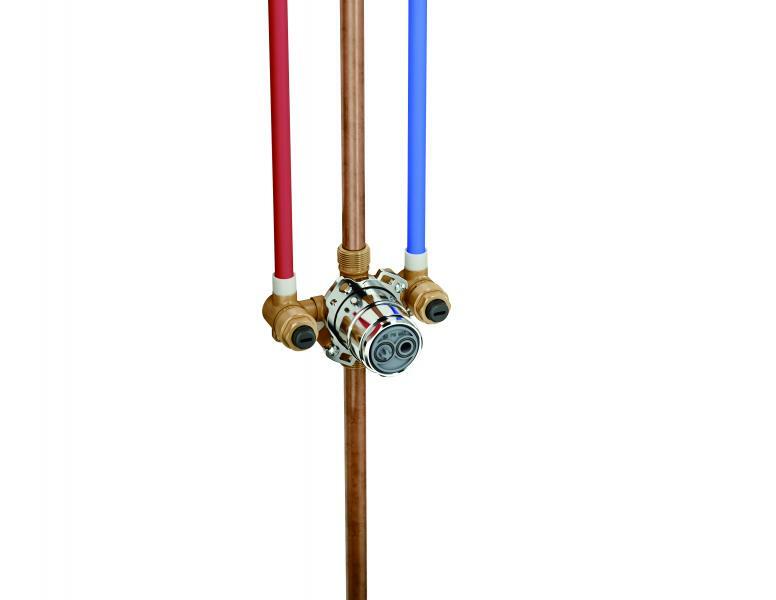 Flexible features include an accessible mounting system; vertical inlets that can be installed next to studs in PEX applications, reducing the need for re-framing; and quarter-turn service stops that can open and close in the slots with a flat head screwdriver. Treysta also has solutions for applications with cold expansion PEX and Crimp PEX, as well as back-to-back installations and reversed hot and cold inlets. The Treysta valve also features a reversible plug test for full-system, hot, cold, and cross-flow tests. The brass-forged body features large mounting holes and a flat top plane that can install level with the floor. All configurations use the same pressure balance cartridge. Danze by Gerber product trims have been updated to be compatible with the Treysta pressure balance cartridge, minimizing damage during rough-in installation.